Spotted over the garden fence yesterday. Posted on May 5, 2018 by Tish Farrell	This entry was posted in Botany, photography and tagged #6WS, #SixWordSaturday, botanizing, Tish Farrell Writer. Bookmark the permalink. Do you grow them in your garden as well? They’re sneaking in. I’ve spotted some leaves popping up among the perennials. I have a spot of these. Didn’t know what they were at first but they are pretty. I love the shadowplay on the giant leaf. Well captured, Tish! Thank you, Peter. 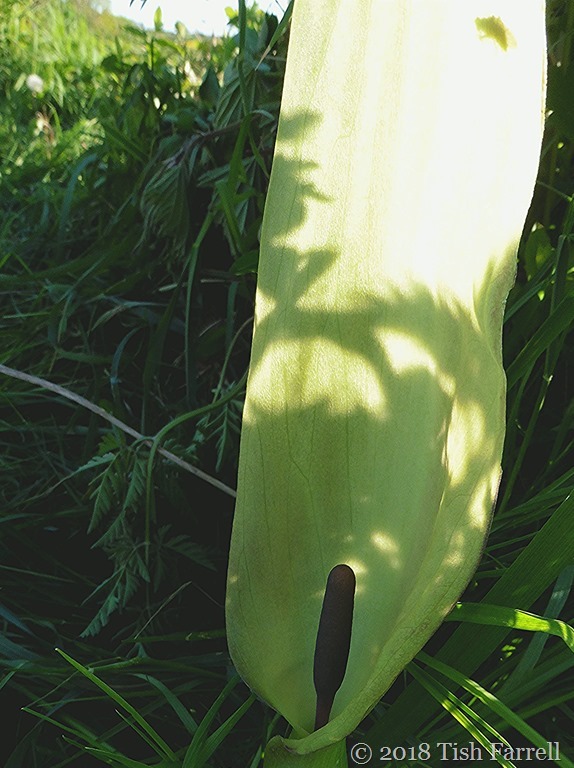 The leaf is actually the lily’s floral sheath. They are rather strange plants to tell the truth. 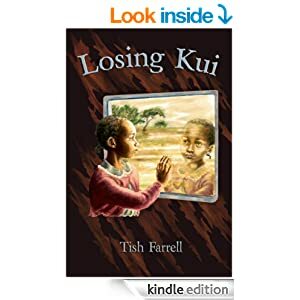 Lovely title, Tish (and photo, of course)! Well thank you, Bill. Hope you’re all well. We are suddenly roasting here. Lovely photo – I like all the shades of green. Thank you, Elaine. Very cooling in our sudden heatwave!